All the bloggers that I follow blog almost everyday. How good is that? very organised! At the moment I am not as consistent with my content as I should be and I definitely need to work on this. I would love to be able to post everyday and have a few posts already to go for publishing. But it is definitely more difficult that I thought. I don't really want to rush all my content and publish stuff that will send people to sleep as I ramble on. But from now on I will make a bigger effort to be more organised. That is only a small percentage. Before my blog I would on use Facebook, Instagram and maybe a little bit of Twitter. But now I have signed up to every social media possible linking up, sharing, hash tagging and reading new blogs all the time. Now I am not suggesting that is what all new bloggers need to do this but I was interested in connecting and building up readers and followers. But it's a great distraction too. Blogging has great sense on community. As you know I love reading blogs there are some I read everyday and some that I just stumble upon. But since starting this blog I have found that many are so welcoming and very encouraging and will take the time to re-tweet your tweets or follow you. Yes I do get a little happy when this happens maybe even a little giddy! Technology is not my thing and I don't really remember loads from my school days. But I am learning so much I even know what a 'linky' is now...this did take a few attempts but I soon cracked it and now I love linking up with others. There are parts of my blog that I like to avoid at all times don't even get me started on HTMLs - how hard are these? I find it so confusing and take my hat off to those who do! 12 comments on "One Month into Blogging"
Happy 1 month blog birthday! I'm just over a month in to blogging too so was nodding along with all of this. I'm doing something to do with my blog everyday but not managing to post everyday. 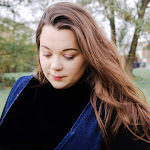 Like you say there's so much more to blogging than just publishing posts, it's all about social media and connecting with other blogs if you want people to actually read your blog! Definitely agree that everyone has been so lovely and welcoming though.